350 Singapore is the Singapore chapter to the global 350.org movement. 350 is widely believed by many scientists to be the safe upper limit of carbon dioxide in the atmosphere, measured in parts per million. The BES Drongos are a group of nature lovers from the Bachelor of Environmental Studies (BES) programme at the National University of Singapore, who have come together to manage guided walks open to everyone and anyone. 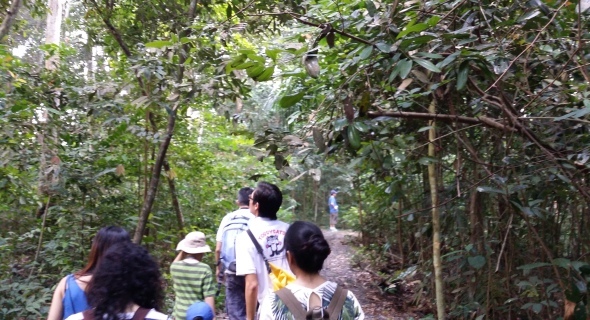 They want to bring people to appreciate and understand local biodiversity and our ecological systems in Singapore through guided walks on the Petai Trail at Macritchie Reservoir Park. Biodiversity Connections is a happy hour to build relationships and foster collaborations between scientists, NGOs and government agencies involved in biodiversity research and policy in Singapore and South East Asia. The Bird Ecology Study Group is looking into and documenting all issues of bird ecology, especially the inter-dependency of birds and plants. Circular Economy Singapore is an informal network of individuals from the public, private and people sectors who support and embrace the concept and principles of the circular economy. They organise regular meetups and roundtables to discuss and share more about the ideas and case studies related to the circular economy in Singapore and around the world. 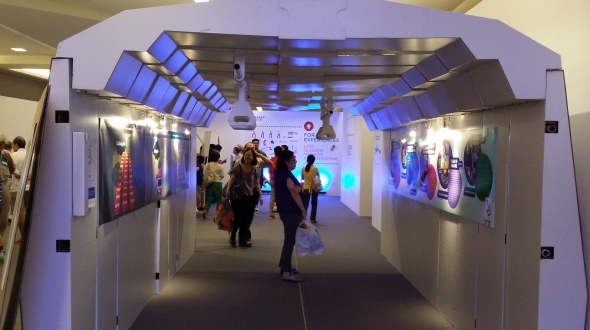 Connected Threads Asia believes in a socially and environmentally responsible fashion industry, and its mission is to bring together fashion designers, manufacturers and suppliers, and consumers, and start a conversation on how to transform the industry into one with a conscience. The Conservation Interest Group is Republic Polytechnic’s green group that encourages students and the wider community to conserve resources and appreciate the beauty and value of biodiversity. The group organizes events to promote awareness of environment issues and encourage individuals to adopt green lifestyles and do their part for the environment. Earthlink NTU is the environmental club in the Nanyang Technological University (NTU) promoting environmentalism among all staff and students of NTU. Their mission is to create opportunities for the NTU community to make a positive difference for the environment, to advocate an environmentally sustainable lifestyle among youths, and to build up their passion for the environment. EatGrass aims to educate and encourage youths to consider alternatives to meat in order reduce to their carbon footprints. EcoYouth or Youth for Ecology aims to spark conversation between youth in Singapore about the environment. Energy Carta is a non-profit organization founded by a team of young adults who want to make a positive impact in the world. They are driven by a passion for sustainable development, the environment and a desire to invoke change through their actions. The Environmental Rangers Club is a student-run environmental group in Ngee Ann Polytechnic, to instil a sense of responsibility and passion in members and the school population for the environment and to generate new and creative ideas to overcome environmental issues through the eyes of young minds. The Environmental Science and Engineering Students Club (ESESC) is a representative student body for all ESE students studying in National University of Singapore. FiTree is a fresh seedling of a youth group made up of tertiary students and graduates who gathered together with the intention of reminding the Singapore Muslim community to return to our fitrah as true khalifah fil ardh. Foodscape Collective is a growing community of food growers in Singapore who come together to make Singapore our edible garden. GEO Council is Nanyang Polytechnic’s club to discover environment and water practices through various aspects. Their mission is to equip NYP students with skills and experiences to be a outstanding green leader who serves. Greenbird Singapore is an overseas division of the Japanese greenbird non-profit organisation, and operates a clean-up activity once a month in Singapore. The Greenery Club promotes clean, green, and healthy lifestyle among the students in ITE College Central. Greenprint is a student club pioneering environmental initiatives in the Singapore University of Technology and Design (SUTD), and aims to build a sustainable world through green innovation and design. The Herpetological Society of Singapore is a group of herpetology enthusiasts who are enthusiastic about the study and conservation of reptiles and amphibians. I’dECO: Yale-NUS Sustainability Movement is a team of students at Yale-NUS with the mission to promote a culture of environmental responsibility at Yale-NUS, to integrate sustainability concerns holistically into school practices to bring about effective change, and to give members an avenue for the practical application of environmental ideas, grounded in research and strong theoretical understanding. 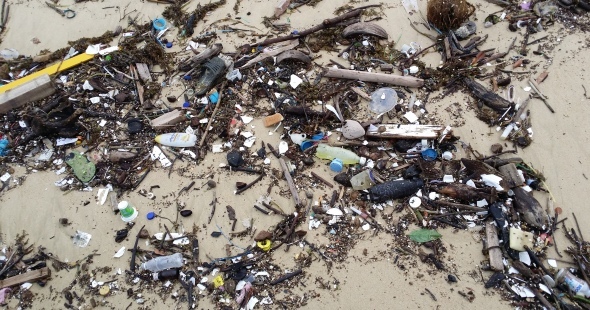 The International Coastal Cleanup Singapore (ICCS) is coordinated by volunteers of the Raffles Museum of Biodiversity Research at NUS, and is part of an annual global event. It aims to remove and collect data on debris from the shorelines, waterways and beaches of the world’s lakes, rivers and oceans. This information serves to educate the public on marine debris issues and to encourage positive change. Keep Singapore Beautiful Movement (KSBM) aims to encourage our community to take action, share experiences and mobilise ground-up activities to keep Singapore clean and beautiful. Love Our MacRitchie Forest is a campaign group formed in response to the LTA’s announcement of the new Cross Island Line MRT, which is proposed to run through the fragile ecosystem that is MacRitchie Forest. The Mangrove Action Squad are mangrove enthusiasts passionate about conservation of mangroves in Singapore. They monitor and carry out field research in mangroves on a regularly basis and also educate the general public. The Mega Marine Survey of Singapore is about the volunteers working with the National Parks Board (NParks) on the Comprehensive Marine Biodiversity Survey. The Naked Hermit Crabs are volunteer guides at Singapore’s shores such as Chek Jawa, Pulau Semakau, Kusu Island. They have come together to share our shores through public walks, especially those shores which are in danger. Nature Trekker is a non-profit voluntary nature organisation with the objective to cultivate outdoor adventure seekers to learn and appreciate nature. The NIE Green Club aims to make a positive difference to our environment, to lead a sustainable lifestyle, and to appreciate nature better. NUS PEACE (People Ending Animal Cruelty and Exploitation) is an interest group affiliated with NUS, with the mission to foster the love and respect that all animals deserve through education, advocacy and action, by connecting with others in the community who care. NUS SAVE (Students Against Violation of the Earth) is a group of passionate undergraduates who are at the forefront of leading student environmental movements that advocate for the National University of Singapore (NUS) to be an exemplary model for sustainability and action against climate change. NUS Toddycats! are volunteers with the Lee Kong Chian Natural History Museum (ex-Raffles Museum of Biodiversity Research) at the National University of Singapore. Toddycats! is meant to expose, develop, enthuse and apply individuals to programmes in conservation, education and research. Project: FIN aims to reduce the consumption of shark’s fins by spreading awareness among consumers and businesses. Project iConserve comprises a bunch of SMU students who care about the environment. They raise awareness about our impact on the environment, encourage more youths to volunteer, and get people talking and thinking about the environment. The Public Hygiene Council, comprising representatives from multiple sectors, helps to strengthen and better coordinate efforts to lead and take ownership in galvanising community and industry efforts to improve the cleanliness and hygiene standards in Singapore. Reef Alert is a group of divers in SMU who are making efforts to conserve our marine environment, one reef at a time. Repair Kopitiam is an initiative to bring the community together to repair so as to combat the throw away culture for a sustainable world. It is run as a community repair meet-up, whereby people come down to a designated space to repair simple items together, guided by specialists. Save Our Street Dogs (SOSD) is a group of volunteers in Singapore, banded together by the common passion and conviction to be part of a unified voice, purposed to make a difference and effect change to the welfare of our street dogs. Save That Pen gives used and unwanted pens a new lease of life. They collect donated pens from around Singapore, refill them, and pass them on to underprivileged students in Singapore and the region. Shark Savers Singapore is a non-profit membership organization dedicated to saving the sharks through building awareness, education, and grassroots action. The Singapore Conscious Living Community is a group for anyone living in Singapore who is interested in living consciously and spending mindfully. The Singapore Environment Networking Group aims to connect all environmental groups and interested individuals in Singapore, so that there will be a common platform for everyone to communicate and work on common environmental goals. 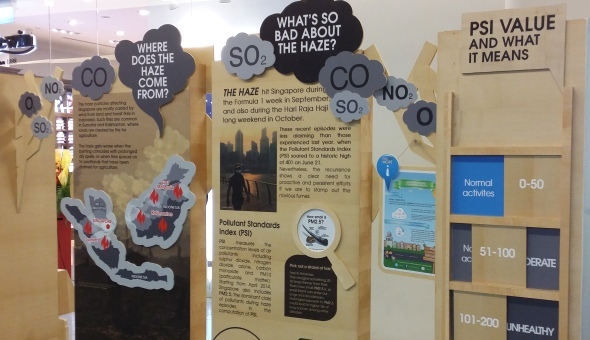 The Singapore Polytechnic Environment Club is a student club in Singapore Polytechnic that is concerned with the environment and willing to go the extra mile to call for change. Singapore Young Farmers connect the younger generation to the world out on the countryside, showing them importance of the farmers’ role and the youths’ involvement in our community and this food system. Singapore Youth for Climate Action (SYCA) is a platform for young Singapore residents to join hands in action in response to climate change. SMU verts is Singapore Management University’s official student platform for engaging in eco-friendly and sustainable activities. Their mission is to encourage the community to be environmentally responsible and live a sustainable lifestyle. TeamSeagrass is a team of volunteers that regularly monitor the seagrasses on Singapore’s shores. Temasek Polytechnic Green Interest Group (TP GIG) was started by a group of TP students passionate about raising awareness of issues related to the environment and animal conservation. They also seek to promote green lifestyle and instil a sense of responsibility for the environment among TP staff and students. The Biodiversity Roundtable of Singapore is an initiative spearheaded by NUS and NParks under the National Biodiversity Strategies and Action Plan, for stakeholders in the natural history community and government to meet regularly and more frequently. The Green Beans is a student group from SOTA, with the aim of encouraging Singaporean youths to explore and develop a love for our own local, natural green spaces. The Green Volunteers was started to increase public participation in environmental protection by providing a range of hands-on activities and programmes to turn awareness into action. The Hantu Blog aims to raise awareness about Singapore’s small, yet biologically diverse reefs through the education of students and divers. The Leafmonkey Workshop organises workshops and provide a platform for networking, learning, sharing and doing for nature groups, nature volunteers and nature lovers. The Living! 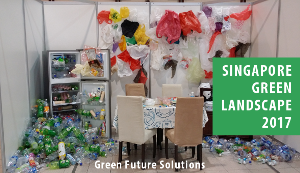 Project aims to draw direct connection between the individual‟s action with the needs of a sustainable urban city through the intensive use of recycle materials and community action to create positive social behaviour change. The Singapore Glove Project is a group of Singapore residents who head out to explore different parts of Singapore, whether by walking, jogging or running, and along the way, they pick up litter, make new friends, and absorb the beauty of Singapore. The “We support The Green Corridor in Singapore” campaign group supports and promotes the proposal by the Nature Society (Singapore) to conserve the railway lands as a continuous Green Corridor.